Smart Earth Sprinklers is Austin’s ONE-STOP SHOP for lawn irrigation solutions. Looking for a reliable and experienced sprinkler repair company to service and maintain your sprinkler irrigation system? Look no further. Smart Earth Sprinklers is a full-service sprinkler irrigation repair company serving Austin TX and surrounding areas, providing residential and commercial sprinkler repair, design, maintenance and installation. 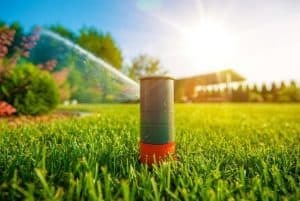 Smart Earth Sprinklers can repair and upgrade your current sprinkler irrigation system, to a more water-efficient system that will save you money. Our professional Sprinkler Irrigation experts are licensed and equipped with the necessary tools and skills to ensure proper repair and maintenance of your sprinkler system and we offer high-quality products from leading manufacturers such as; Hunter, Rain Bird, Weathermatic and Irritrol. To ensure that you receive the best quality in products and services, we also offer a one-year warranty on all products and repairs. At Smart Earth Sprinklers, we understand how important it is to get the job done right the first time, and you can rely on us to meet and exceed your expectations.